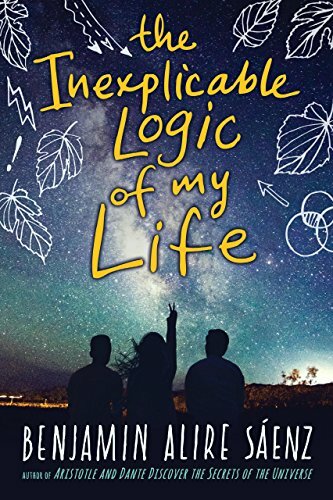 In this emotional novel, three teens struggle to find meaning in the unpredictable and seemingly inexplicable events of life. Salvador is unsure of who he is and who he is becoming - his identity crisis further complicated by the fact that he is a white boy adopted and raised by a gay man with a strong Mexican-American heritage. Sam, Salvador’s best friend, is grappling with the aftermath of her mother’s unexpected death in a car accident. Fito’s mother is a drug addict, and Fito endures a neglectful and abusive home life before being kicked out of his home altogether. Though each teen faces unique challenges, they find love and acceptance as they overcome these tragedies together. This book is an excellent novel for readers who prefer character-driven stories, as this one centers primarily on the developing bonds between the main characters. However, the reader should be aware that though many events occur, the plot is pretty thin. Additionally, the events are tragic, and this book is very emotionally heavy. It is a very introspective read, tackling difficult subjects such as mortality, religion, and family. The writing is simple and slightly choppy, but still beautiful and insightful. Readers will find in these pages a thought-provoking, sad, and uplifting read about life and the families we create.